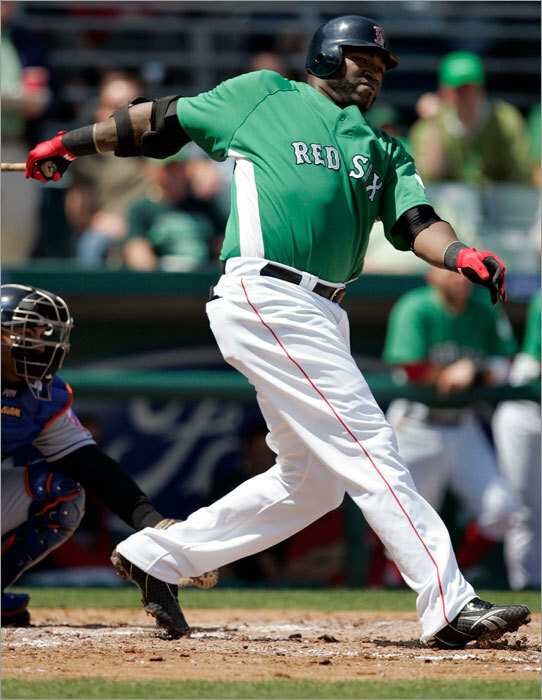 The Red Sox and Mets wore green uniforms for a St. Patrick's Day spring training game in Fort Myers, Fla. Here, David Ortiz singled off Mike Pelfrey in the fourth inning. The Mets won 4-2.